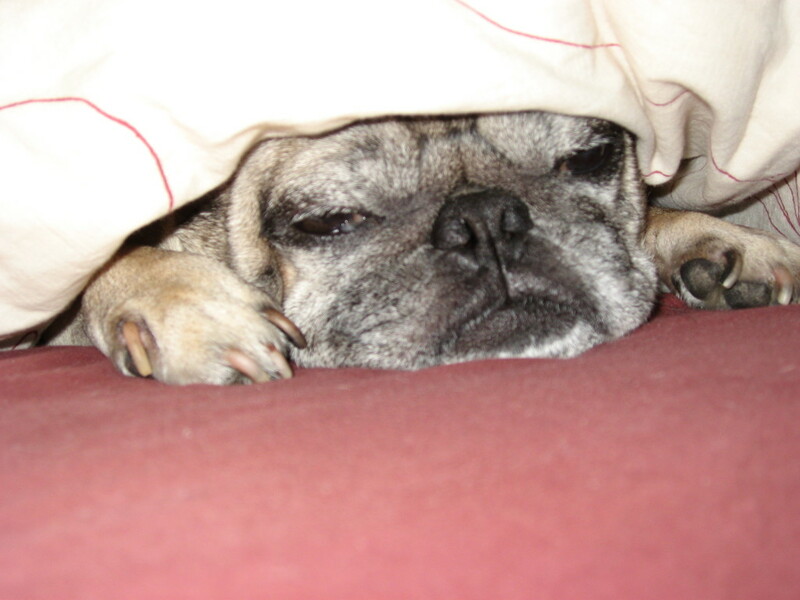 Yet another Monday morning is here to greet us just a tad too early for our tastes. Maybe a little coffee will cure the Monday morning grogginess. It is an absolutely beautiful day here! 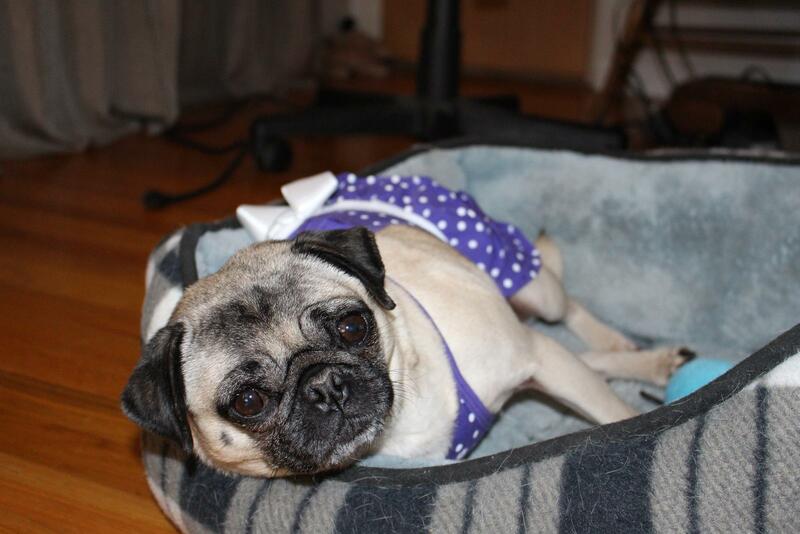 Nickie is looking forward to lounging around all day in her sun dress. Maybe we’ll head out to the back porch this afternoon to sip some iced tea out in the sun. We’re pretty sure spring is Nickie’s favorite season. 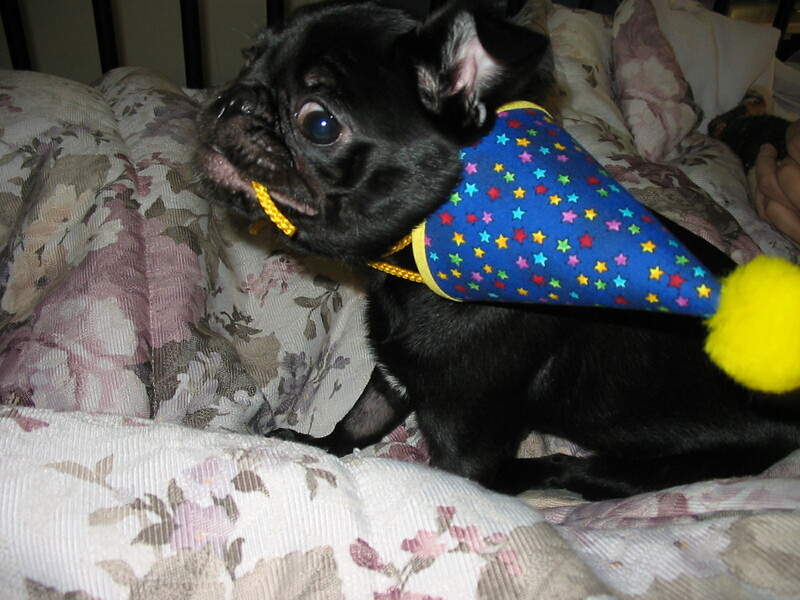 Saturday night is definitely party time (any respectable pug knows that). 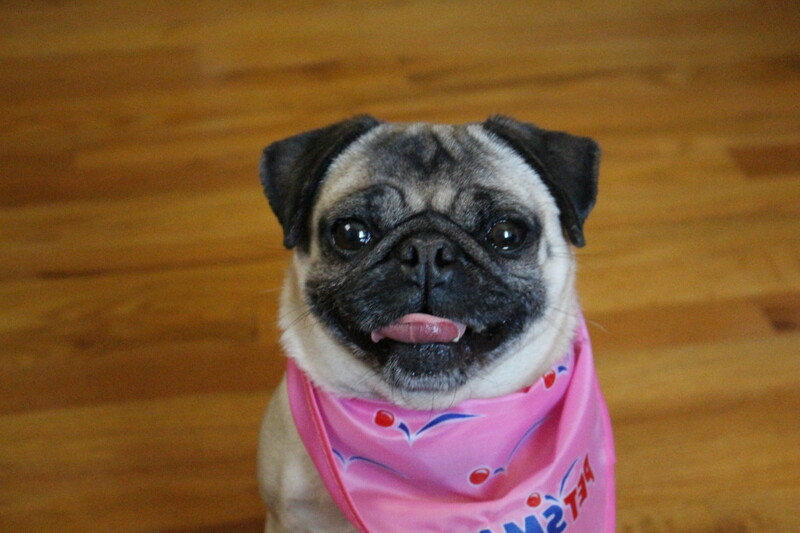 This pug looks ready for an exciting night with friends, and so are we! This week seemed to fly by, and we can’t believe it’s Friday already. 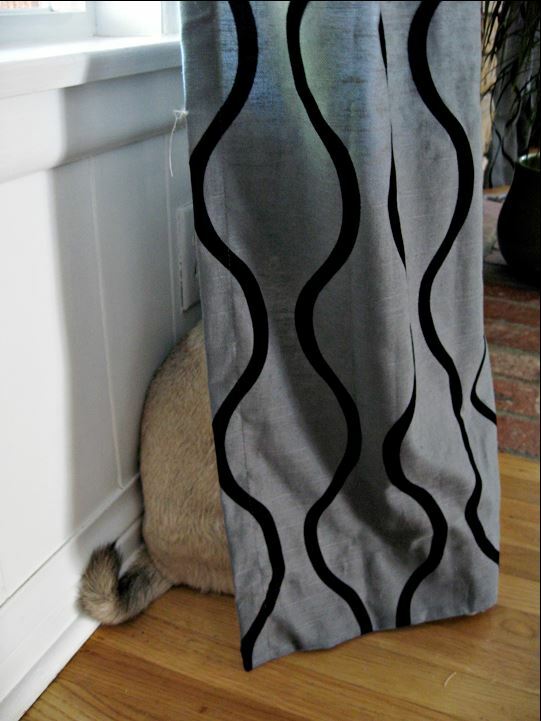 The weekend has snuck up on us like a stealthy pug. 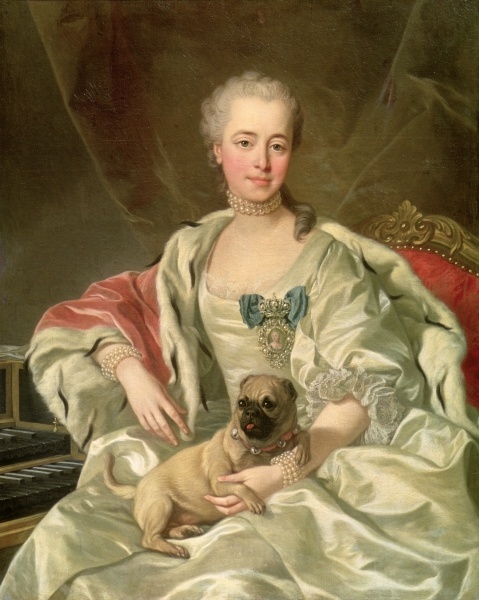 This lovely portrait of a pug (and princess) was painted by Louis-Michel van Loo in 1759. The painting “Portrait of Princess Ekaterina Dmitrievna Golitsyna” captures the luxury and opulence of the Russian court. 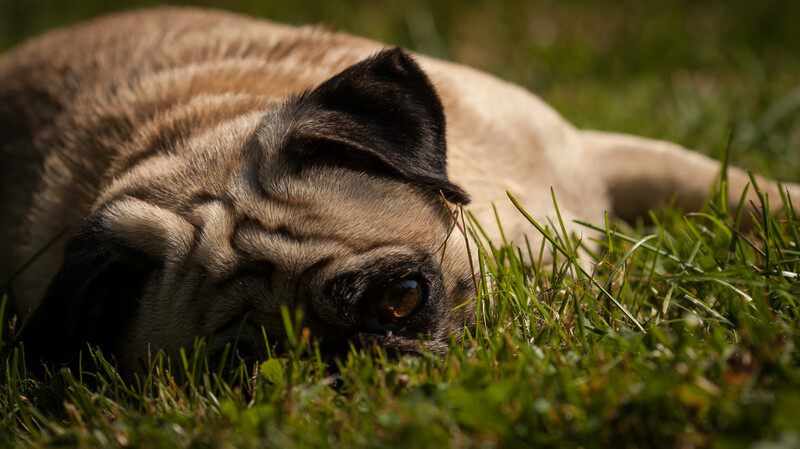 Pugs were very popular in Russia since the days of Peter the Great, and they had become a symbol of aristocracy. 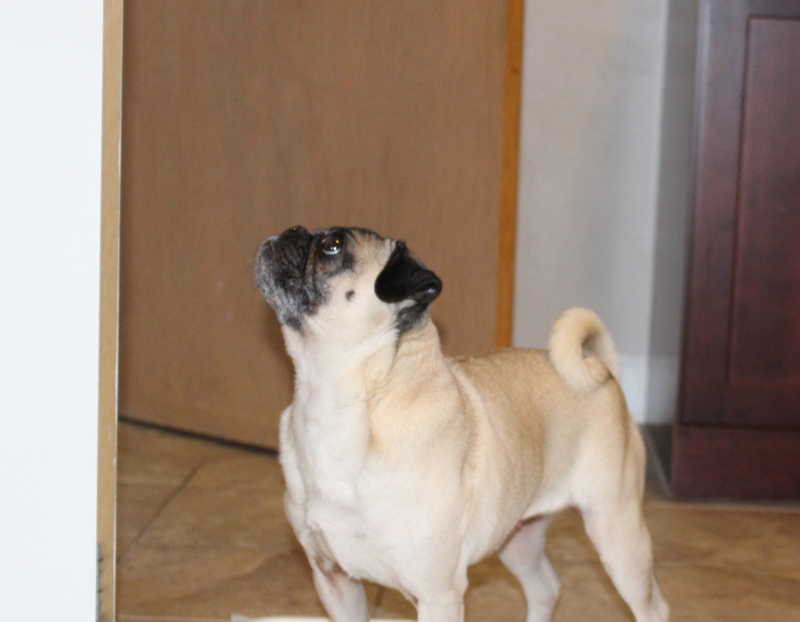 Nickie is a smart little pug, and she has learned where her food and all her tasty treats are kept (the pantry). She often just sits or stands right in front of the pantry and gazes longingly upward, hoping treats will fall from it’s high shelves. It’s a good thing she’s too short to sneak in there and raid the pantry. Monday mornings are always the hardest after a great weekend. 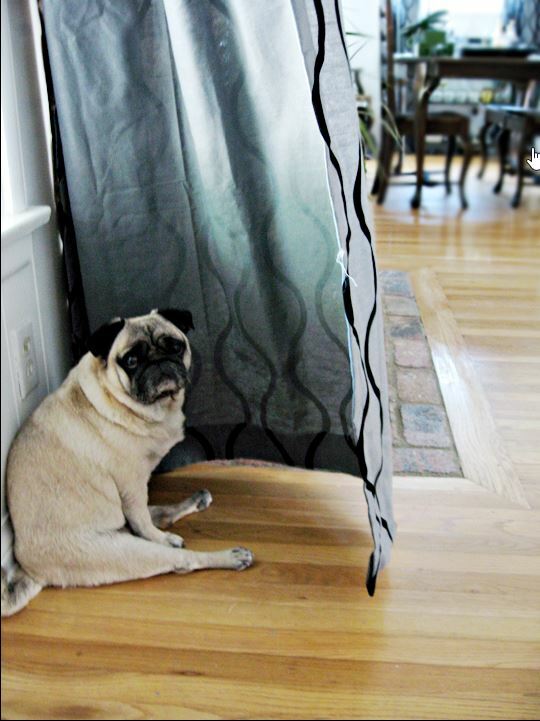 This little pug named Bebop appears to be trying to escape from Monday morning by hiding behind a curtain. We appreciate your ingenuity Bebop, but we don’t think it’s going to work. 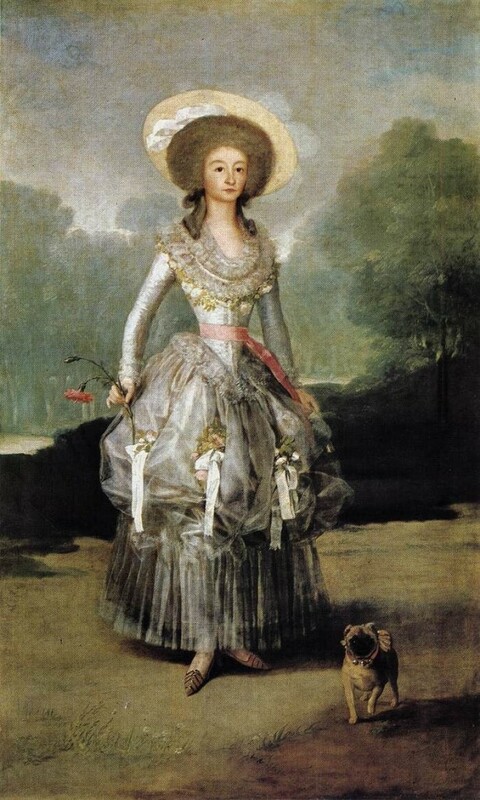 Francisco Goya painted “The Marquesa Mariana de Pontejos” in 1786 which features an adorable little pug trotting at her feet. We think the pug really makes the painting. Nickie is looking quite content after her spa treatment at the groomer’s, complete with nails, ear cleaning, and teeth brushing. Maybe she’s just happy it’s Friday. Either way, you can almost see the sparkle in that smile. 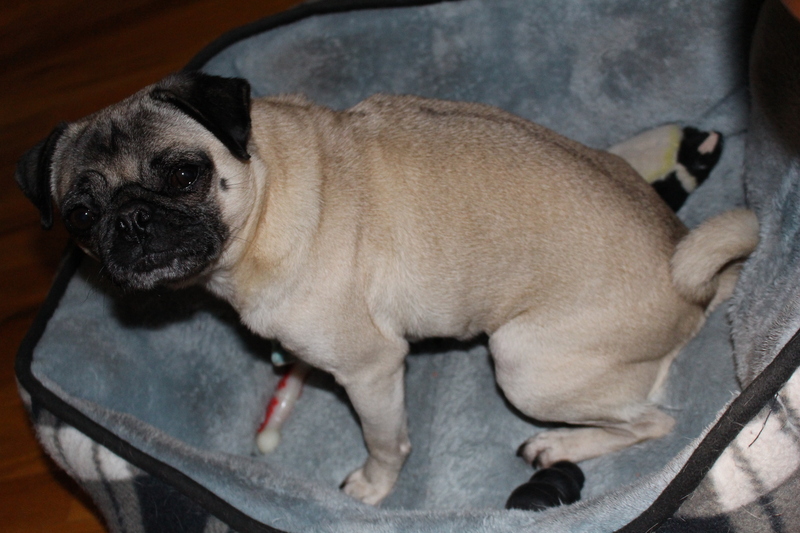 We woke Nickie up a little early this morning to go for a quick jog, but before we could even get her harness and leash on, she was snuggled up in her bed struggling to stay awake. Maybe early morning exercise is not for her.